There was "collusion at senior levels" within Ugandan government agencies which led to the misappropriation of Irish aid, according to a report from the Department of Foreign Affairs. Aid to the country was halted last month after it was found that 4m had been misappropriated from Irish funds channelled through the Ugandan government. An interim report by the Department of Foreign Affairs found that a "sophisticated and elaborate" scheme was used to bypass the controls that were in place to ensure funds were allocated correctly. It says that the collusion of key players in such a way may not have been reasonably anticipated, however it also highlights weaknesses in the anti-fraud measures used by the Irish and Ugandan governments. 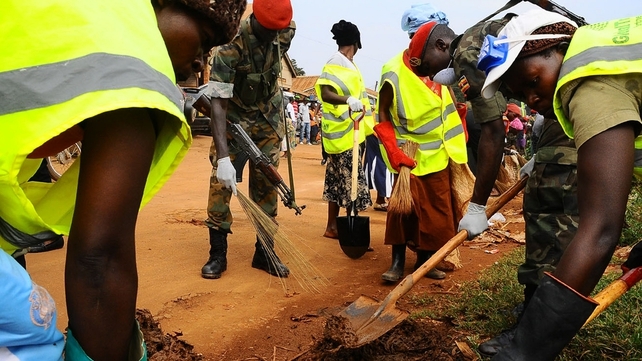 The report recommends that the Government recovers the 4m and halts aid payments to the country until follow-up audits in Uganda are completed. This could take until late 2013 to complete, it says. It also recommends the department reviews its processes and carries out regular risk assessments across all aid programmes. Responding to the report, Tánaiste Eamon Gilmore said that there were lessons to be learned from the misappropriation of Irish aid. He said he was committed to implementing the report's recommendations, and was working to ensure that better safeguards are put in place to reduce the risk of such a thing happening in future. "I think the systems control should have been stronger. There are lessons that have to be learned here," Mr Gilmore said. "One of the outcomes of this report is that I have instructed my officials to carry out a full review of our risk assessment to ensure that that we are less vulnerable to this kind of fraud taking place again."